Discover how wall mounted taps can make your bathroom design stand out from the crowd. Posted By Edward, 11th Nov 2016. 3 Minute Read. Do you like bathroom design ideas that are exclusive? Do you like the idea of your bathroom having an integrated feel? Are you open to the idea of adding a stunning yet understated feature to your Victorian Plumbing bathroom design? Let me introduce you to the idea of wall mounted taps. You don't see them too often in bathroom designs and long may that continue. If everyone chose to use wall mounted taps in their bathroom then they wouldn't be as dramatic when they are chosen. 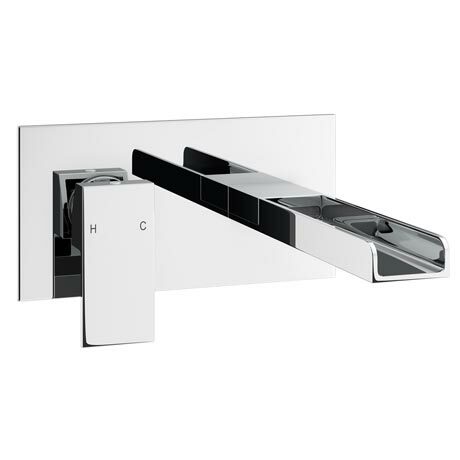 Therein lies the advantage of choosing wall mounted taps in your bathroom design: exclusivity. ● An integrated feel. Wall mounted taps give your bathroom a 'done on purpose' quality. Your bathroom almost feels like the room has been designed to accommodate your bathroom design rather than the other way around. ● Understated. Wall mounted bathroom taps aren't a shouty feature but they certainly draw the eye and leave a lasting impression. ● Budget. If you’re designing your bathroom on a tight budget, adding wall mounted taps can add a luxury feel to an otherwise 'not quite luxury' bathroom suite or bathroom fixtures. ● Versatility. 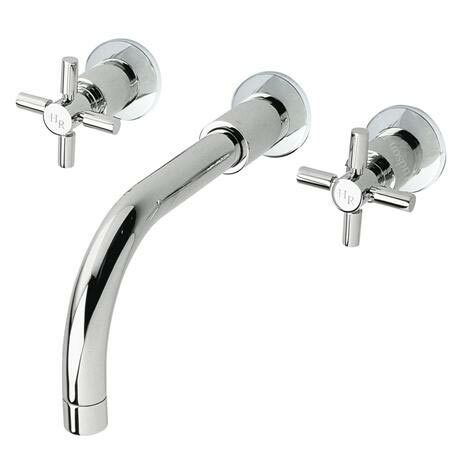 Wall mounted taps can be used as the water solution for either your bathroom basin or bath. ● Compatibility. 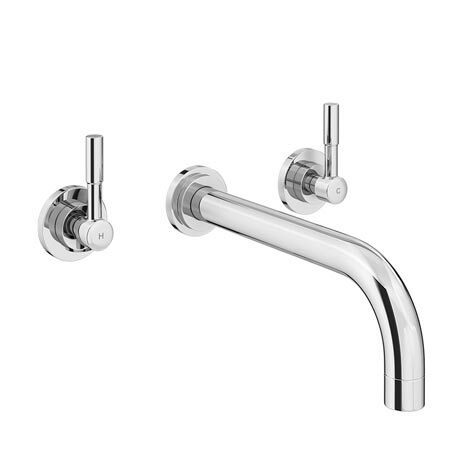 Wall mounted bathroom taps look stunning when coupled with either counter top basins or freestanding baths. Are you starting to picture wall mounted taps in your bathroom? 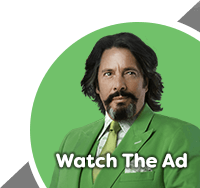 Interested in getting some ideas and seeing some examples? Victorian Plumbing has a superb selection of wall mounted bathroom taps. Below I have picked out some of my personal favorites that will, hopefully, appeal to both modern and traditional tastes. Modern wall mounted taps can be a stunning addition to a contemporary bathroom design. Crafted in solid brass and plated in stunning chrome; the Primo bath filler is a wall mounted tap that could add to any modern bathroom design. The tap handles only require a quarter turn so it’s ideal for those that struggle with tap handles. The Primo is also available as a basin mixer tap. 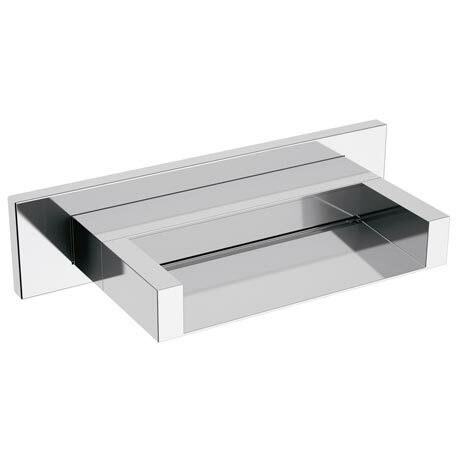 Sleek, modern, and minimalist are the 3 words that best describe the Plaza waterfall basin mixer. You may have seen this wall mounted tap style used in city center or boutique hotels on your travels. Why not add that 'hotel chic bathroom' style to your bathroom design? The Plaza is also available as a bath filler tap. 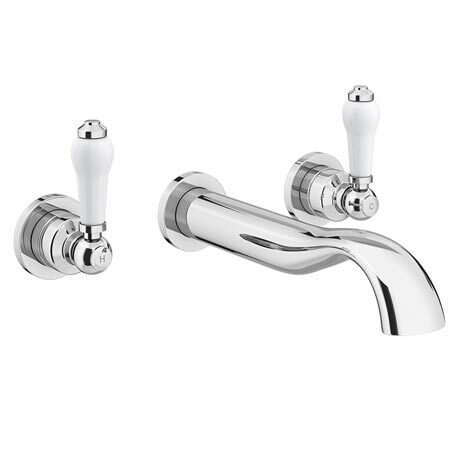 Crosshead tap handles were once associated with traditional bathroom taps; however, the Hudson Reed Tec basin mixer shows how two conflicting styles can compliment each other. This tap also features the quarter turn functionality of the Primo. You maybe thinking that there is no place for a wall mounted tap in a traditional bathroom design, however traditional wall mounted taps can add a special dimension to a traditional bathroom design. The Lancaster basin mixer tap definitely has the styling and reliability of it's World War Two bomber namesake. This wall mounted tap could be a great addition to any traditional bathroom design. The Lancaster is also available as a bath filler tap. The Hudson Reed Topaz mixer tap with shower kit makes a bold statement in your preference of traditional bathrooms. 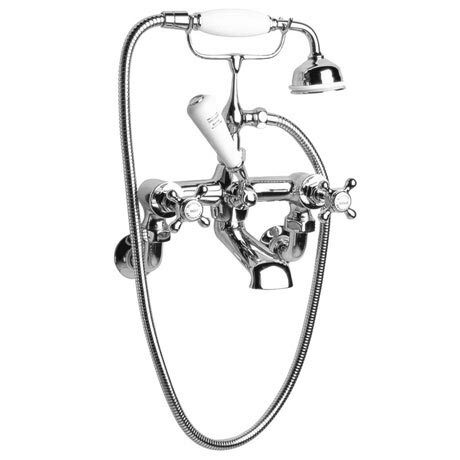 Certainly a feature and definitely a talking point: this tap and shower unit is the ultimate in bathroom luxury. 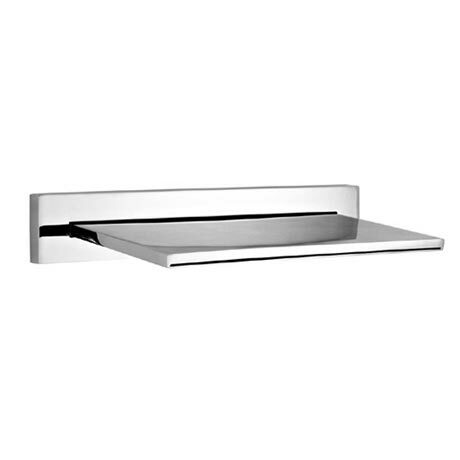 Another option to consider is adding a wall mounted spout to your bathroom design. The waterfall effect certainly makes bath time that little bit more special and fun. A beautifully minimalist spout that will register a double take from visitors to your new bathroom. The spout is controlled by valve handles which are available to buy together with the spout. The chunky block design of this spout could be a great addition to a bathroom design that has already incorporated that theme. The unit is also slimline at only 250mm wide. The spout is controlled by valve handles which are available to buy together with the spout. I hope you enjoyed reading this expert buying guide to wall mounted taps. If you are planning a traditional bathroom in your home, why not check out Rob's article about How Traditional Taps Can Transform Your Bathroom. How colour matched is your bathroom?